Seamless steel pipe is different from welded steel pipe. Features of the two types are different. It is no wonder that they are used for different objectives. For instance, if you are in pursuit of stronger pipes, seamless steel pipe is a better solution. Seams can weaken the strength of pipes and thus, the seamless structure can enhance the durability. Thereby, for both domestic and industrial sectors, they have to purchase more expensive seamless pipes if they are seeking for stronger solutions. As the abovementioned features, the strength helps seamless pipes occupy an essential position in heavy duty industry. Their reliably allow them to endure the harshest working environment. 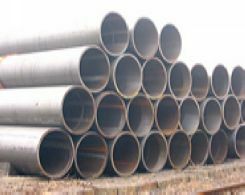 In addition, as other steel pipes can do, they are highly resistant to rust and corrosion, let alone high temperature and pressure. If you are looking for the pipes designed with some special features, you need to consult with the manufacturers. 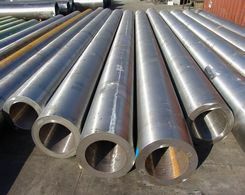 Seamless pipes are made from steel ingot through heating and inserting process. The pipe is firstly heated to high temperature and then a rod can be used to insert in it to create a hollow structure. The manufacturing process is more difficult than it seems to be. Advanced techniques and skillful operation are needed to complete the production process. 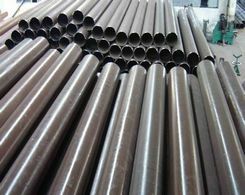 The reputable manufacturer would test the quality of the pipes strictly and an additional coat would be used to cover the pipe.